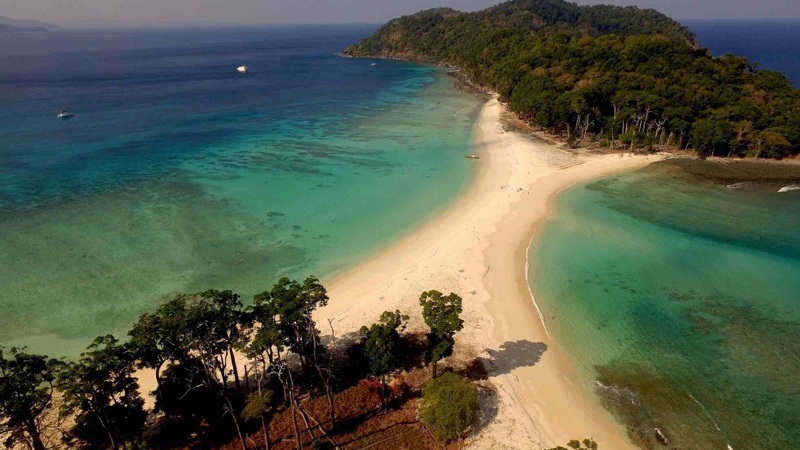 Andaman Tour Packages From Ahmedabad - Book Now! Ahmedabad has a strictly industrial mindset. The tourists and travellers planning a getaway from this dry industrial hub to the wet watery oceanic beauty of Andamans would be exhilarating for the inhabitants. The tour packages form Ahmedabad to Andamans would be a thrilling journey from Manchester of the East to the Emerald Isle of the East. Andamans prove to be a delightful break from the monotonous and business culture predominant in Ahmedabad to a vacation of doing nothing. It is an interesting shift from an urban mix of city life, modern traditions and urbanism to the natural wonders, expansive blue seas, bright sunny skies and enchanting wild life. Such a tour package will be a surprise shift from the diversity of places, religions and urban communities of one of the busiest metropolitan of Indian mainland to a laidback, peaceful, down-to-earth simple living community culture of these small and isolated Islands thousands of kilometres away from the Indian mainland. The tourists travelling to the far off isles of the Andaman and Nicobar from the away-from-the-seas city bustle and life would relish each and every natural wonder and carry back home tonnes of memorable moments. The bewitching mangrove creeks of Baratang Island, where you plan a safari through the mangrove trees and shrubs that grows abundantly in shallow and muddy salt/brackish waters. These creeks running through quiet shorelines and estuaries provides an exciting and unforgettable experience. The mysterious parrot attracting uninhabited Parrot Island viewing the hundreds of the of beautiful of bird species gathering at dusk everyday out of nowhere. The quaint Island of Diglipur which offers an interesting watch for turtle nesting a rare and bewildering phenomenon that awes the tourists and travellers; Kalipur Beach is internationally famous for being the nesting and breeding ground for rare turtle species that are getting almost extinct and are now ferociously protected by the wildlife agencies. Try out the low-cost as well as the high-end airlines to fly you from Ahmedabad to Port Blair. Air India, Jet Airways, GoAir, Vistara and among the major airlines operating between Ahmedabad and Port Blair. Book early to get the best deals in flight fares and hotel accommodation. Avail the cashback options and apply the coupon codes when you book through the various websites. Contact your travel agents for bulk booking discounts is fares and tariffs. If you enjoy cruising, then travelling by ship from Ahmedabad to either Vizag or Chennai and then availing cruise ship directly to Port Blair might be a thrilling option.